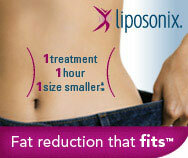 Liposonix is one of the latest, non-surgical fat reduction technologies. Using state of the art, high frequency ultrasound waves, undesirable fat cells are destroyed in a procedure lasting between 30 to 60 minutes. Nothing is more frustrating than that last inch that cannot be shed, especially around the waistline. With minimal downtime after the procedure you can return to your normal daily activities. A specially designed treatment head is placed on your chosen treatment area. This treatment head delivers high intensity focused ultrasound energy below the skin in order to target the desired area of subcutaneous (below the skin) fat. Fat beneath the surface is destroyed due to an effect called thermal coagulation caused by the high intensity ultrasound. The energy delivered by the treatment head heats up the layer of fat below the skin causing the fat cells to be destroyed without harming the layer of skin above. 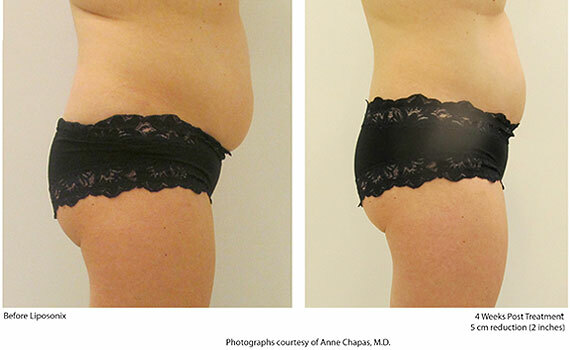 The treated fat tissue gets removed through the body's natural elimination process. The treated fat cells break down and release triglycerides (free fat droplets). These triglycerides get removed by macrophages (a type of white blood cell from the body’s immune system). The macrophages are attracted to the treated adipose (fat) tissue and digest the free fat droplets and other cellular debris. The destroyed cells are naturally processed by the body and are slowly excreted from the body. Immediately after your treatment you may experience some minor discomfort, redness and swelling, this should subside within a few hours following the treatment. Your body will naturally process the destroyed fat cells and remove them from your body. In doing so, your treated area will become naturally slimmer. Results differ from patients to patients. Top-up or maintenance treatments can be done in the future to give you an extra bit of fat reduction but additional treatments are not recommended for at least 6 months after the initial treatment. The Liposonix procedure is a non-invasive, safe treatment with patients usually able to resume their normal daily activities immediately after the procedure. More than 10 years of research have been completed on the Liposonix system, including international multicenter clinical studies. 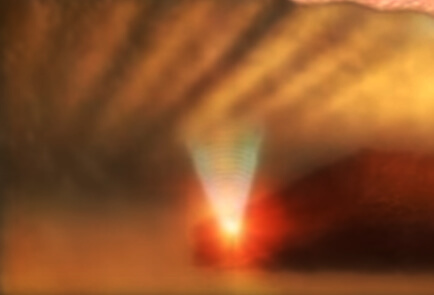 No serious or unanticipated adverse events related to the treatment have been observed or reported in the clinical studies of the Liposonix system. On the day of your treatment one of our aesthetic practitioners will run through the treatment with you again and answer any questions you may have. The treatment itself will take up to an hour and will be carried out by one of our specialists at The London Dermatology Centre.TM The treatment is non-invasive and does not require any local anaesthetic to be applied prior to the procedure. The Liposonix treatment head will be placed on your desired treatment area ready to deliver the high intensity focused ultrasound energy. 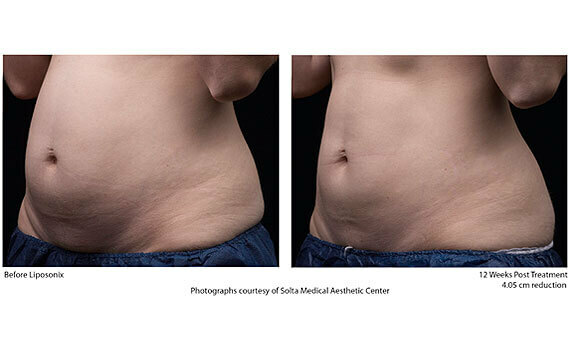 During the Liposonix treatment you may feel slight discomfort, prickling or a warm sensation. 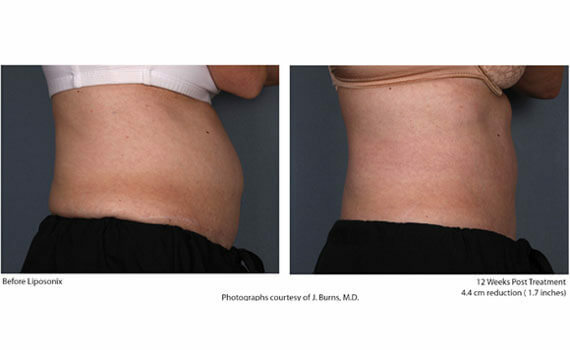 After the Liposonix treatment you may experience some bruising, soreness and swelling of the treated areas. You can resume normal activities immediately after your treatment. If you are close to your ideal size and are looking to get rid of that last bit of stubborn, unwanted fat around your waistline then Liposonix may be for you. 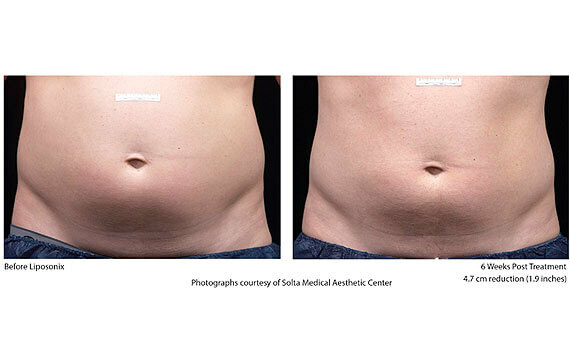 The Liposonix treatment has been designed to target the abdomen (both the tummy and waist), the thighs including “saddle bags” and the back for those stubborn “love handles”. On average each treatment takes an hour. This varies depending on the area you are treating or whether you are interested in treating several areas on the same day. It is advisable to let the staff know at the London Dermatology Centre when you book your appointment about which area or areas you want treated so that they are able to book you in for a suitable amount of time. 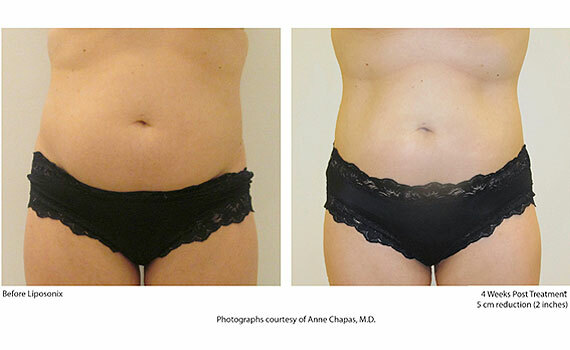 For more information regarding the Liposonix treatment please contact us on 020 7467 3720.